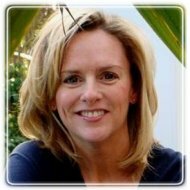 Seattle Therapist: Connie Curlett - Therapist 98112. Send A Message To Connie. I help people find healing, empowerment and harmony in their life and relationships. Whether you have something specific you want to address, or have a general feeling of being stuck and don't know where to start, I can help you move towards the life you want and deserve. I am passionate about relationships, specializing in separation and divorce prevention or recovery. I provide a variety of tools along with nonjudgmental support to help you move towards your goals. Trained as a psychotherapist and life coach I bring a unique blend of counseling and coaching into our work together. I specialize in working with couples who are struggling in their relationship, facing the end of their marriage or couples who are divorced and want co-parenting skills. Together we will work to strengthen and repair your relationship or help you end your relationship with dignity and respect. Looking at the relationship between your thoughts, feelings and behaviors, how they influence the way you see your world. Working toward ending self-criticism and low self-worth, identifying how to create healthy satisfying relationships and gaining tools to manage and resolve conflict. I see my role as not only as an empathetic non-judgmental listener, but also as an educator, helping people understand what healthy functioning relationships look like. I use a combination of two researched-based approaches; Emotionally Focused Therapy and The Gottman Method. I am also a certified Positive Discipline Parent Educator and can offer you parenting support in conjunction with couples counseling. Ongoing separation and divorce support groups that meet Tuesday and Wednesday evenings, helping people recover from the painful process of separation and divorce. I am positive, caring and genuine. Our work together will be a dynamic and interactive process, blending empathy and compassion with humor and honesty.